Chris was recently feeling like preparing “Surf and Turf” for dinner. She pulled a nice lobster tail from the freezer as well as a beautiful fillet steak. We often share our meals so one tail and a single steak would do. Chris had started preparing dinner and she wanted to enjoy a nice bottle of wine with our meal. I wandered down to the cellar to see what we had. 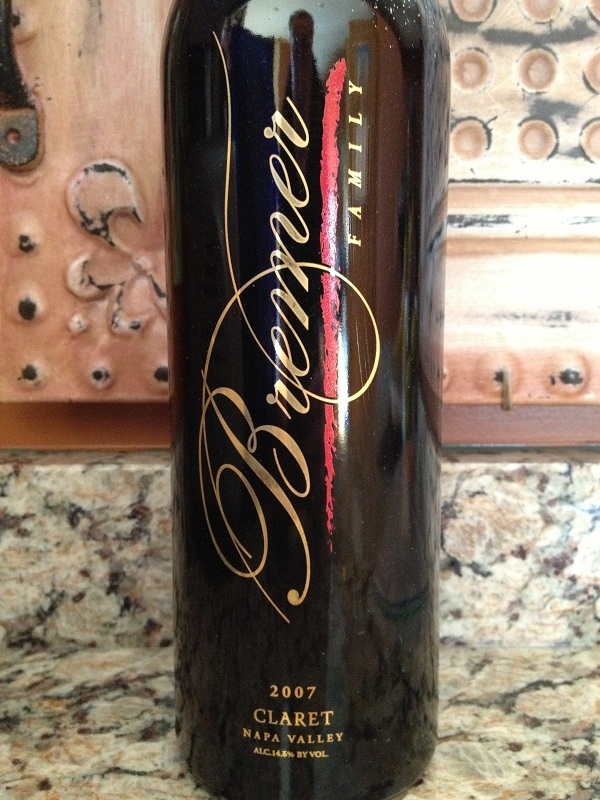 As I came across a bottle of 2007 Bremer Family Winery Claret, I recalled our visit last February with Nick and Bri when they became engaged. 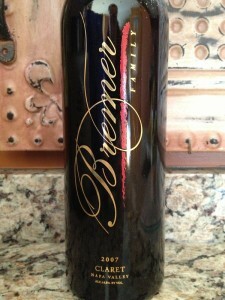 The Bremer Family Winery at Deer Creek is on the slopes of Howell Mountain in the Napa Valley. Originally built-in 1891, the property features an original construction stone winery and cellar built into the side of the mountain. 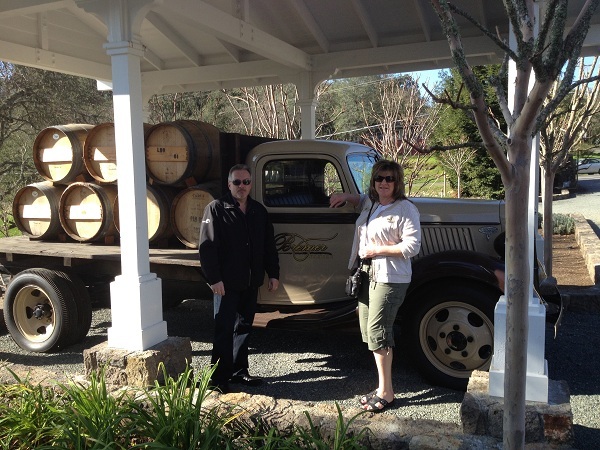 We were fortunate to be able to take a tour while we were at the tasting. 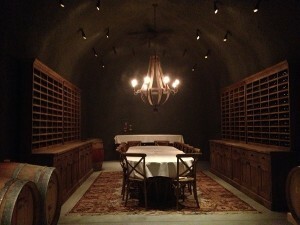 The cellar is not complete built but is already fully functional including a shipping location by one of the entrances. 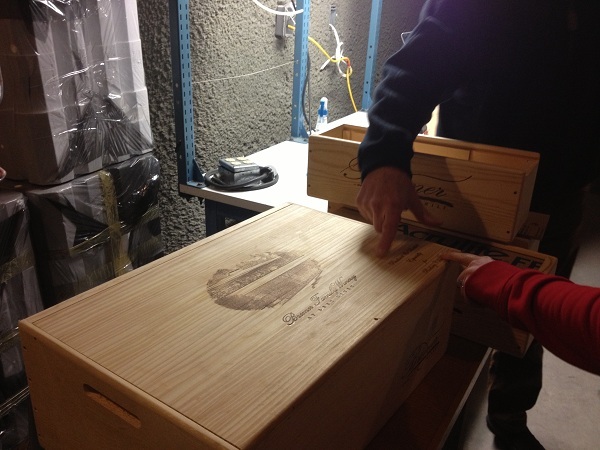 They also manufacture their own wooden crates, which I think that is a nice touch and makes shipments more personal. We are scheduled for another tasting with friends while in Napa again this coming May. There is a great site for a picnic and the views are beautiful. Chris and I by the old truck near the entrance. 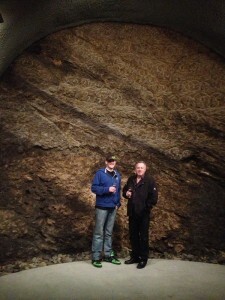 Nick and I standing in an unfinished cave. A finished tasting room and cellar in the cave. Nick and Bri looking at the finished product. Dinner was getting close to being ready. The lobster was in the oven and I had preheated the grill for the steak so I decided it was time to pull the cork and grab my tasting sheet before dinner was ready. 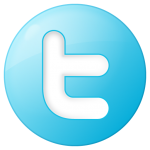 Nice deep color depth and a garnet hue. Very aromatic and fruity. We could smell, cherry, caramel, sweet chocolate, and spice. My initial taste was dry and slightly tart. I could feel the tannins in the rear of my mouth. 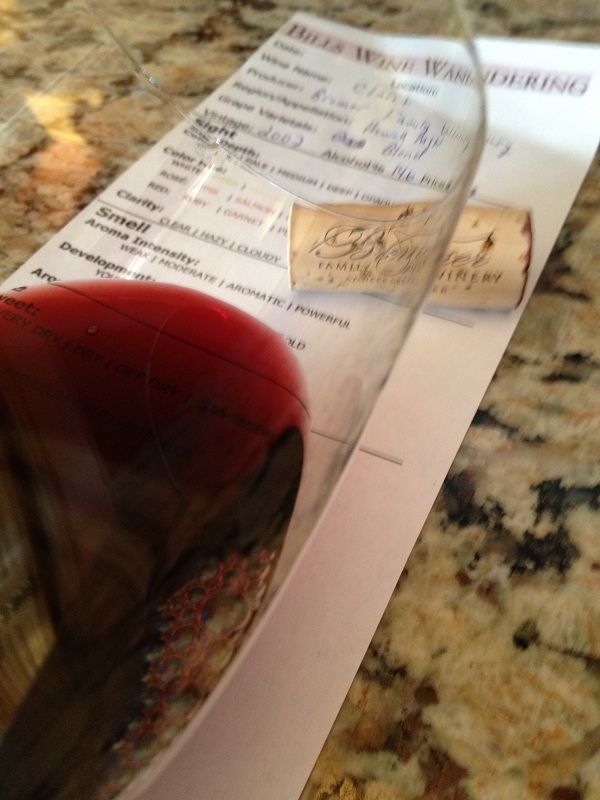 The Claret was full-bodied and very balanced. The finish was long, nice and velvety. I could taste cocoa, cherry, and blackberry. After dinner I had a half of glass remaining. Sipping the remaining 2007 Claret, I could taste truffle at the end of the finish making the experience even better. We both rated the 2007 Claret three glasses. I think this wine deserves time in a decanter. I’m not saying it was not good straight from the bottle, but the decanter would have made it even better. If we would have decanted the wine I’m sure it would have become even softer and could have been rated four glasses. 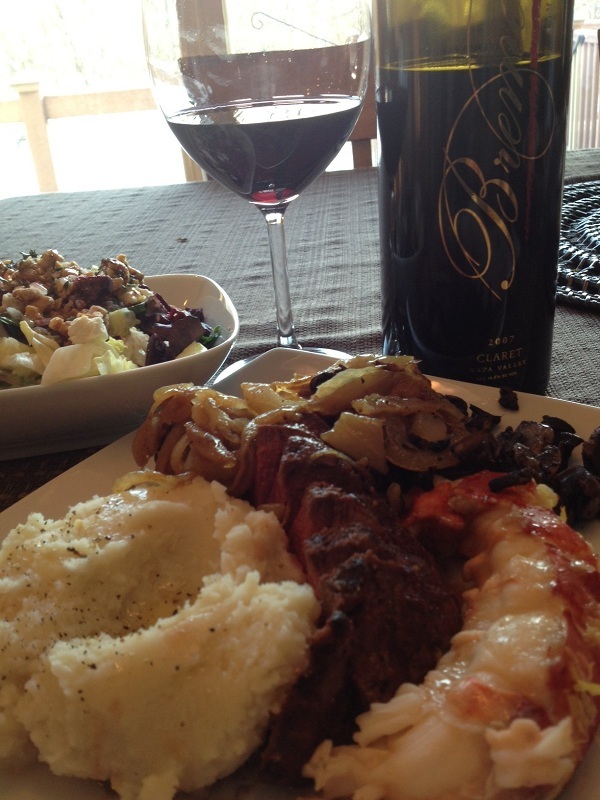 The 2007 Claret paired very well with our Surf and Turf.